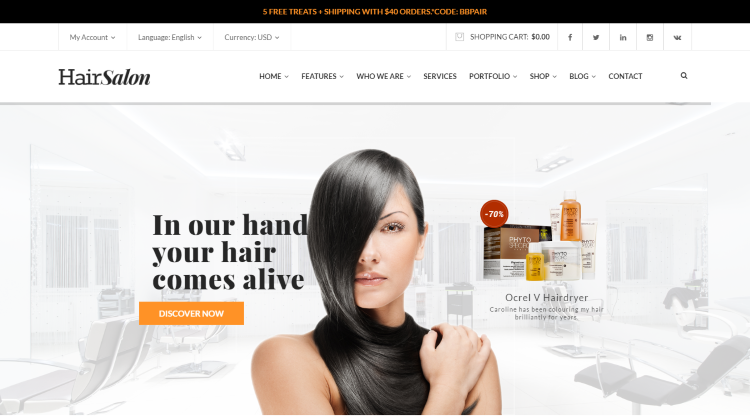 Hence, I have come up with this listicle of some of the best WordPress themes in the hair and spa industry. This will make it easier for you to choose a perfect theme for your business. So, without further ado, let’s get started. 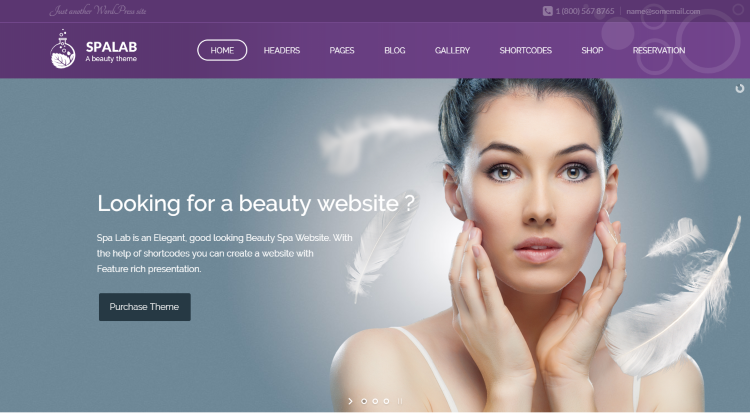 Spa Lab is a popular Beauty Salon and Health Spa WordPress Theme. It comes with essential features like the reservation form and catalog page. This theme allows you to send gift cards to your family and friends with the preferred amount. 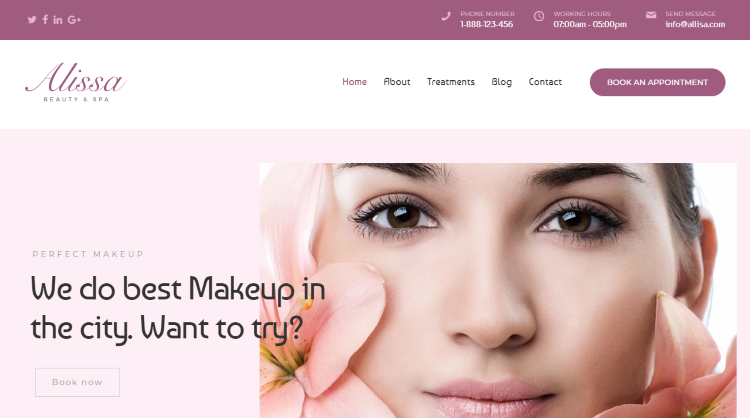 You can also sell beauty products from your website as Spa Lab is WooCommerce compatible. 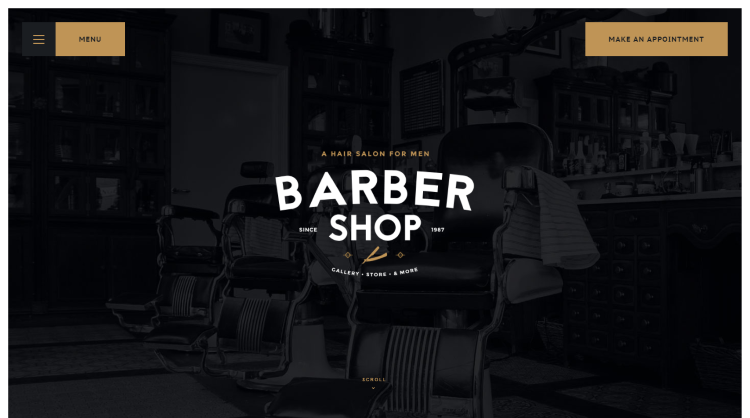 As the name suggests, Barber is a perfect theme for hair salons and barber shops. It comes with the one-click demo install feature which allows you to install the demo content within minutes. This theme comes bundled with premium plugins like Slider Revolution and EZ Schedule Manager booking plugin. 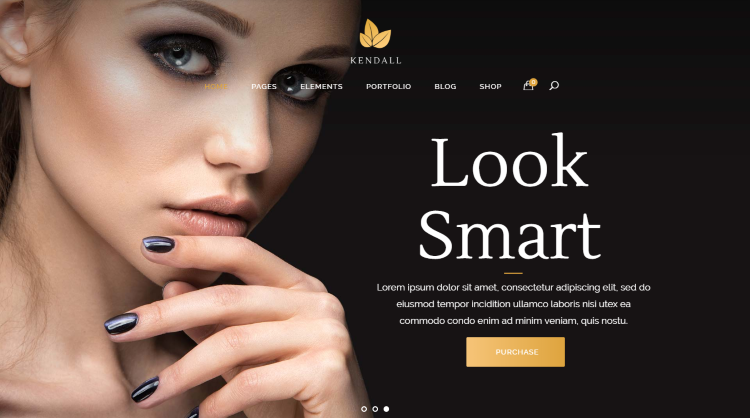 Kendall is a responsive and retina-ready WordPress theme. It comes with 12 homepage demos to choose from. You can easily customize your website using the powerful admin panel. Some important features include parallax effect, stylish portfolio pages, useful shortcodes, 5 header styles, 600+ Google fonts, translation ready and smooth scroll. 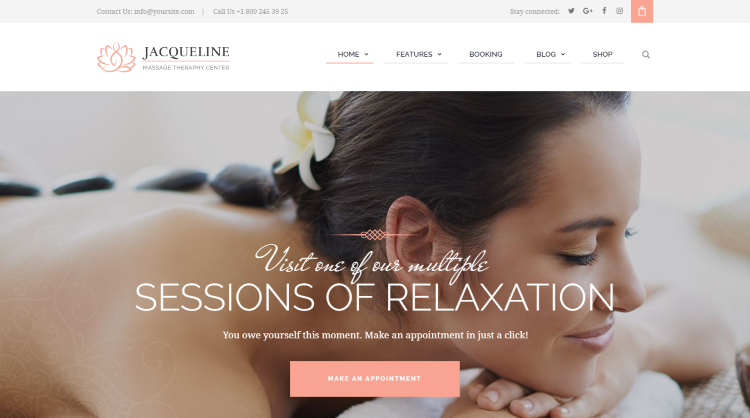 Jacqueline theme can be used by hair salons, spas, wellness centers and massage shops. It comes with the WPBakery Page Builder plugin. This plugin makes it easy for you to edit and style your content without any coding knowledge. This theme also comes with important custom post types like testimonials, team, and services. 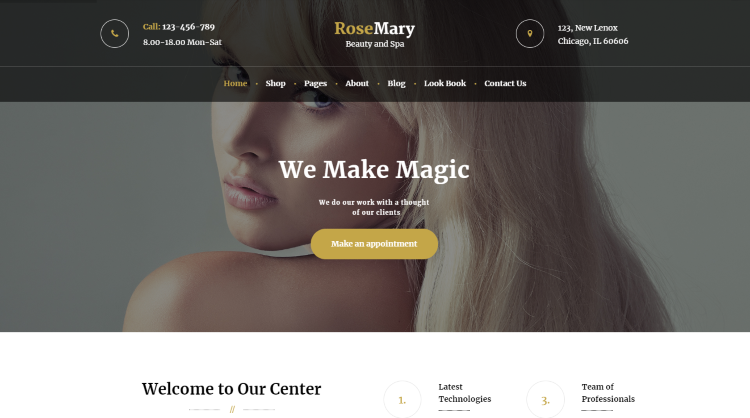 Beauty Hair Salon theme is a fully responsive and speed optimized theme. It comes with unlimited style options like theme skin switcher, CSS animations, parallax builder, and 30+ custom pages. This theme allows your customers to book appointments and write testimonials or reviews. It also comes with Q&A and Packaging & Gift pages. 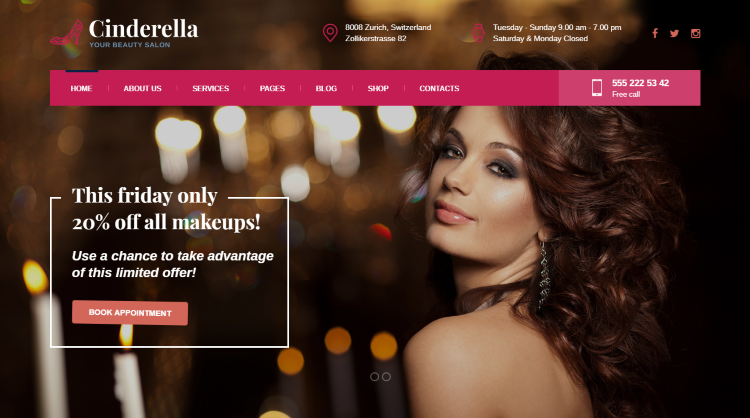 Cinderella is a responsive and WPML compatible beauty salon theme. This theme comes with 4 color schemes to choose from. It includes 2 header styles, 2 service listing layouts, booking system, and advanced pricing module. This theme is cross-browser compatible – that means it will load perfectly on most web browsers. 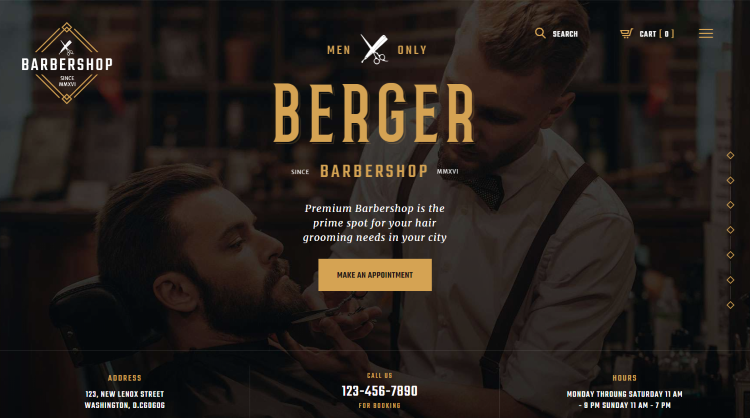 Barber theme has been developed by ArrowPress team. It comes with 10 pre-built homepage demos which can be installed with a single click. This theme allows you to add services, set up timetable and booking rules, set up payment methods, connect appointments with Google Calendar, and many other useful features. 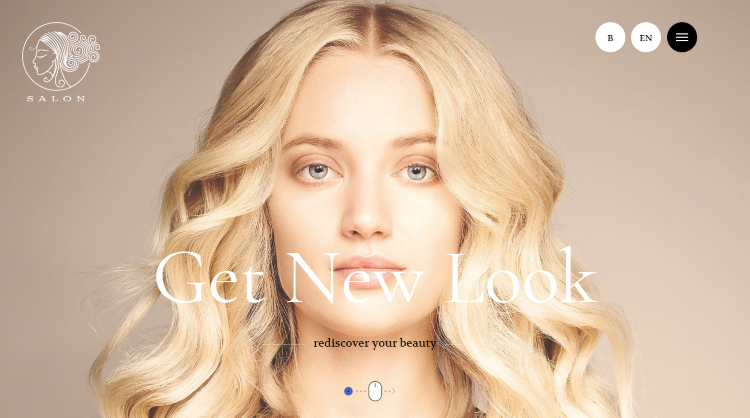 Alissa is a great theme for beauty, spa, wellness, hair, and nail salon. It helps your online visitors to book an appointment from your website. This theme allows you to create services page and add a gallery for each service. You can also create pages like testimonials, special offers, price list, and team members. RoseMary is a clean, minimal, and modern WordPress theme. It comes with the premium plugin Revolution Slider. This slider allows you to create responsive and touch-friendly slides and thus, you can promote your services in a clean and elegant manner. Some useful features of this theme are shortcode builder, media content manager, and WooCommerce compatible. Beauty theme has been developed by ProteusThemes. This responsive and retina-ready theme is integrated with the SiteOrigin Page Builder. Thus, you can easily create or edit pages using this drag & drop builder. 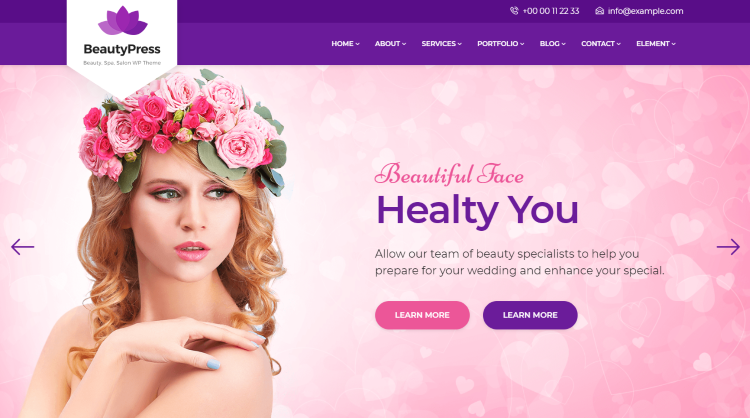 Beauty theme also includes custom widgets for opening times, jobs, hairdresser’s profile, and pricing tables. Salon theme comes with Appointment Booking Manager. This helps you to accept online appointments and organize your schedule easily. This theme includes 40+ shortcodes and custom widgets to make life easy for you. It also offers full page menu – thus, you can show a lot of information in your menu, like working hours, contact details, and more. Shaver is a theme for hair salons, barbershops, spas, and beauty centers. It comes with amazing features like galleries, slideshows, pricing tables, online booking system, and team members. It can be used both as a one-page or multi-page website. And yes, it includes a number of demos which can be imported with a click. 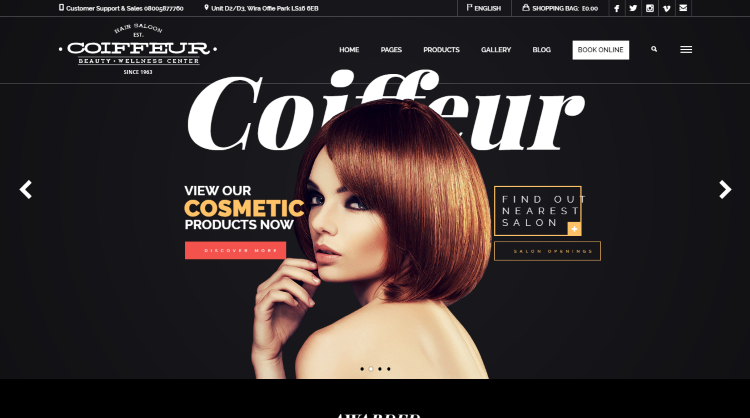 Coiffeur is a popular Hair Salon WordPress Theme. It includes 6 homepage variations to choose from. It also comes with 20+ page templates, custom online booking form, custom widgets, and social media feed. You can also start an online shop using this theme as it offers features like product slider and promotional landing banner. 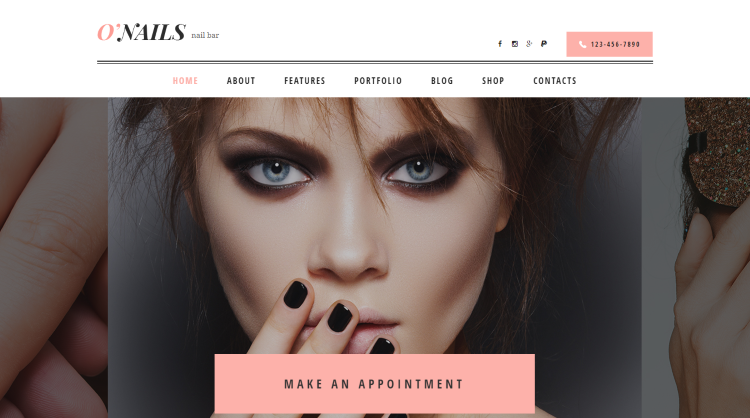 As you can guess, O’Nails is a WordPress theme for Nail bar and beauty salons. It is a modern, SEO optimized, and mobile device friendly theme. It comes with 3 homepage layouts which can be customized using the Visual Composer and Slider Revolution premium plugins. This theme is WPML compatible – it means that you can run a fully multilingual website without any hassle. 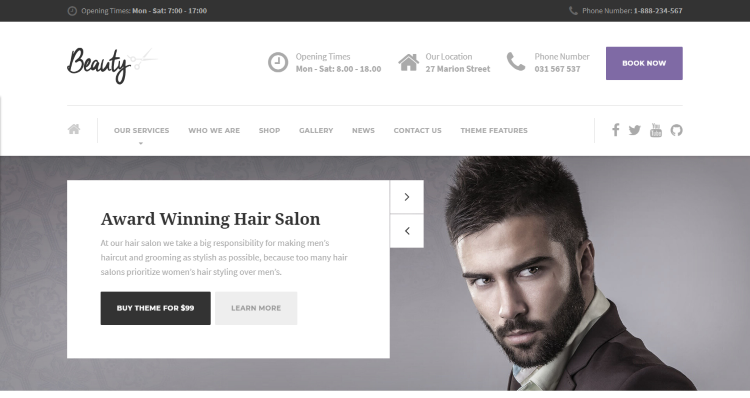 Hair Salon WordPress theme has been developed by ThemeMove. It offers useful features like unlimited colors, Google fonts, sticky header, mega menu, and more. You can easily customize almost everything on your website, thanks to the theme options panel. This theme comes with 3 portfolio layouts using which you can showcase your services to your clients. 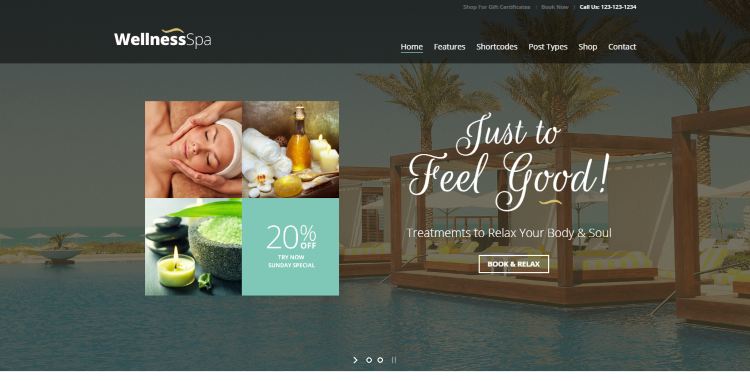 Wellness SPA WordPress theme is perfect for spa, beauty studios, and massage salons. It provides you the option to choose between boxed and full-width layouts. It comes with more than 99 custom shortcodes which helps you to style your content and website as per your needs. You can also add animations to your content to create attractive pages and thus, drive the attention of your customers. BeautyPress is a clean and fast loading theme and comes with 5 unique demos to choose from. And you can edit and style your content using the popular Elementor Page Builder plugin. This theme comes with features like 100+ shortcodes, smooth animations, booking form, and unlimited colors. The developer of this theme offer lifetime updates and dedicated support. 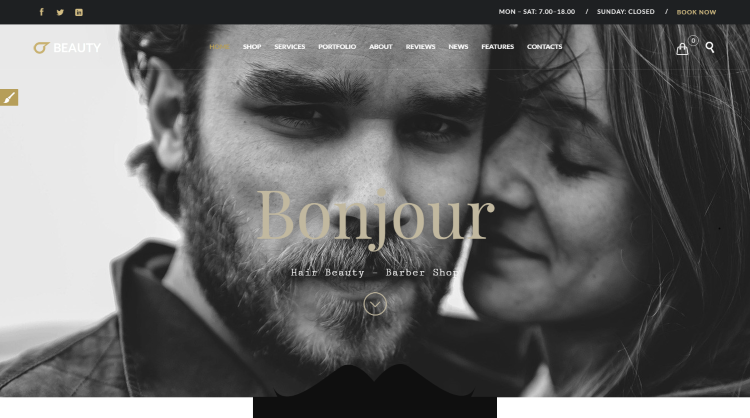 Salon WordPress theme can be used for creating websites, portfolios, or even, online shops. It provides you the option to choose between white and dark versions. It comes with Events Calendar and functional booking system. It offers custom widgets like the popular posts, recent posts, Flickr & Instagram feed, social icons, recent reviews, and skills. 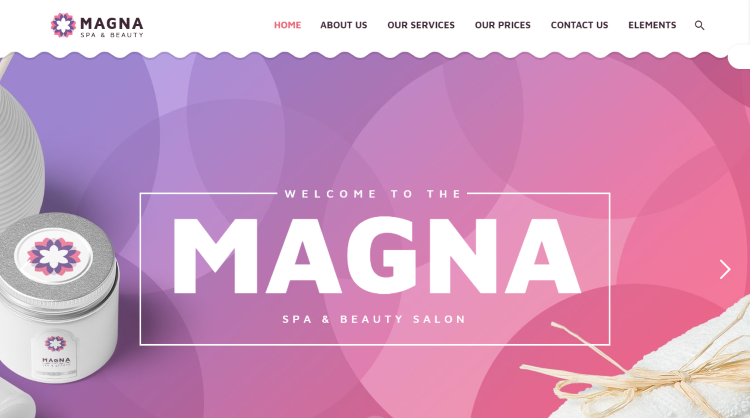 Magna is a lightweight and SEO friendly WordPress theme for spas, yoga studios, and hair salons. It comes fully integrated with Visual Composer plugin. This drag & drop page builder helps you to create stylish pages without any programming knowledge. Magna theme also offers unlimited customization options like fancy page headings, video & parallax sections, unlimited page layouts, and flexible header & footer. Berger is a fully responsive WordPress theme and thus, it works perfectly on all devices – computer, tablets, and smartphones. 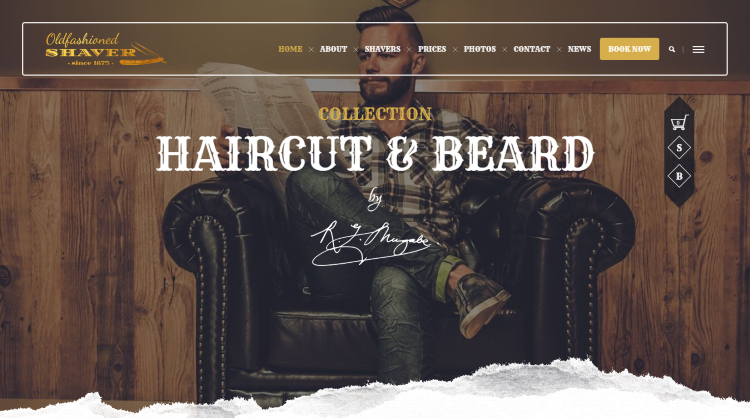 This theme is WooCommerce ready and hence, it can be used to sell hair and beard products. It also comes with useful plugins like Essential Grid, Swiper Slider, WPBakery page builder, and Booked Appointments. 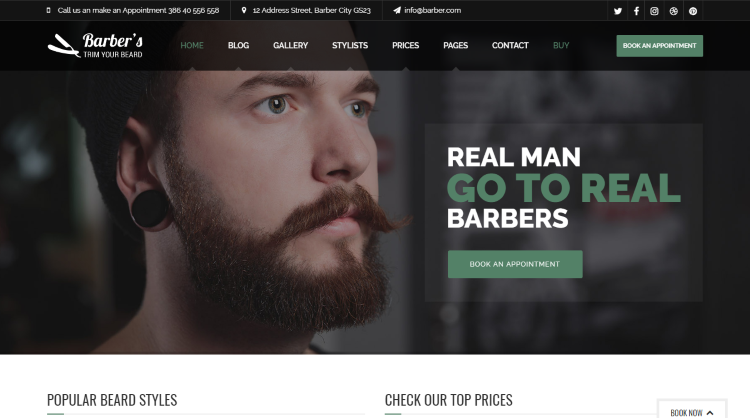 This article contains some of the best hair salon, barber shop, spas, and wellness center WordPress themes. All of them come with online booking system which is a must for these local businesses. Also, these themes are regularly updated with useful features. So, which one of the above themes are you planning to purchase? Let me know in the comments section.